Migraines are recurrent episodes that usually manifest with headaches, and they can be accompanied by other symptoms as well. The experience is often so distressing and similar to other neurological illnesses that it is not safe to assume that you are having a migraine before other serious conditions are ruled out. Migraine diagnosis can take time—while your medical history is the key to diagnosis, medical tests may confirm whether your recurrent episodes are actually migraines. If you have already been diagnosed with migraines, recognizing your episodes right when they start—or even before they start—is important. This can give you ample opportunity to take your treatment when it will be most effective. Some people experience a migraine prodrome, which can begin several days before a migraine reaches its peak intensity. A prodrome can manifest with symptoms such as light sensitivity, irritability, and fatigue. Triggers, such as the timing of your menstrual cycle or sleep deprivation, can also be a huge tip that you are having a migraine. If your symptoms are consistent every time you have an episode, you can learn to recognize whether you are experiencing a migraine, an impending migraine, or a migraine aura. When you have already had migraines, recurrent episodes usually feel familiar. However, changes in your migraine pattern or new signs and symptoms can be concerning, and they may not be true migraines. All of these symptoms suggest the possibility that you could be experiencing another condition that is not a migraine. Be sure to get prompt medical attention if the signs and symptoms that you notice at home are not typical of your usual migraines. Your physical examination is a vital part of your migraine evaluation. Your doctor will want to do several tests to be sure that you don’t have a neurological defect along with your symptoms. Reflex changes, sensory loss, or weakness are all signs of a problem such as a stroke or multiple sclerosis (MS). Your doctor will also check your eyes with an ophthalmoscope to see if you have swelling of your optic nerve (the nerve that controls vision), which can indicate a serious problem such as a brain tumor or a brain aneurysm. Your doctor may decide to run some tests to rule out other conditions besides migraines if your symptoms are new, changing, or if they don’t completely fit into what would be expected to accompany a migraine. There are a variety of blood tests your doctor may perform to help rule out other conditions aside from a migraine. Complete blood count (CBC). A CBC can show signs of anemia (low red blood cells), infection, inflammation, or even some types of cancer. These conditions can all cause headaches and fatigue, and can cause moodiness or tingling sensations. Electrolyte levels. Signs of kidney failure, liver failure, and malnutrition can be detected with electrolyte blood tests. While these illnesses generally cause systemic symptoms (such as stomach pain and diarrhea), they cause fatigue as well. Thyroid tests. Thyroid problems, which can cause fatigue and headaches, may manifest like migraines in the early stages. You may also need other diagnostic tests besides blood tests in your evaluation of possible migraines. Encephalogram (EEG). Migraines and seizures usually manifest with distinct signs and symptoms, but there are some overlapping features. For example, migraines may be associated with twitches or changes in consciousness. An EEG, which detects alterations in the electrical activity of the brain, can often differentiate the two conditions. Electrocardiograph (EKG) or Echocardiogram. Heart problems like arrhythmia (abnormal heart rhythm), heart failure, or heart defects can cause fatigue, headaches, and dizziness. An EKG evaluates heart rhythm and an echocardiogram evaluates heart function and can detect anatomical heart defects. If you have risks or signs of heart disease, your doctor may order these tests. Lumbar puncture. Inflammation or infection in and around the brain can cause neurological symptoms and headaches. A lumbar puncture, also referred to as a spinal tap, is a diagnostic test in which your doctor places a needle in your back—below the region of your spine—to collect spinal fluid for laboratory analysis. What Happens During a Spinal Tap? You may need diagnostic imaging tests to rule out problems such as stroke, a brain aneurysm, or a brain tumor, especially if your physical examination is not completely normal. Brain computerized tomography (CT): A brain CT can identify problems such as bleeding, infections, large strokes, and large brain tumors. Brain magnetic resonance imaging (MRI): A brain MRI can detect subtle strokes, MS, brain tumors, inflammation, and signs of infection. Cervical spine CT or MRI: Spine imaging can identify spinal cord compression or nerve compression, which can cause persistent pain. Angiogram: An angiogram is an imaging test that visualizes blood vessels. You can have a non-invasive angiogram using CT or MRI imaging, or you may need an invasive test, in which dye is injected to visualize your blood vessels. Migraine symptoms are similar to symptoms of several other conditions, and your doctor will need to confirm whether you have migraines—the treatment for migraines differs from that of other neurological problems. The are many common illnesses that are similar to migraines. Complicated migraines. Complicated migraines may cause stroke-like symptoms, such as weakness or numbness of one side of the face or body. If you have complicated migraines, your doctor will want to ensure that you aren’t having a stroke, TIA (transient ischemic attack), or a brain aneurysm. Vestibular migraines. Vestibular migraines cause severe dizziness or vertigo (a sense that the room is spinning) and nausea. These migraines are often very similar to Meniere’s disease in their presentation, and it can take time to distinguish between the two. Cluster headaches. These cause eye pain, and sometimes eye redness and tears. They are often considered migraine variants. Other non-migraine illnesses are often confused with migraines as well. Tension headaches. Tension headaches are not usually as severe as migraines, and are not associated with symptoms besides head pain. Medication-rebound headaches. These headaches can occur after you take high doses of medication for tension headaches or migraines for a prolonged period of time and then abruptly stop taking your medication. If you have frequent tension or migraine headaches, getting on a medication schedule can help prevent rebound headaches. Stroke. Strokes can cause head pain along with vision changes, speech problems, confusion, weakness, numbness, or severe balance problems. Strokes occur due to a lack of blood supply to a region of the brain. They cause permanent damage with lasting neurological defects. It can be difficult to know the difference between a complicated migraine and a stroke, and your doctor may need imaging tests to verify which one you are having. TIA. A TIA is a reversible stroke that is typically caused by a brief decrease in blood flow to a region in the brain. By definition, a TIA resolves, while a stroke causes permanent damage. It is very difficult to distinguish a TIA from a complicated migraine. If there is concern that you may have had a TIA, your doctor will order tests to assess your stroke risk factors—a TIA is a sign that you are at risk of having a stroke. Seizures. Seizures are episodes of shaking, jerking, or loss of consciousness. They are caused by erratic electrical activity in the brain, usually resulting from brain damage or a birth defect. If there is a concern that you may have had a seizure, your doctor will do some tests, including an EEG, to see if you need to take medicine to prevent further seizures. Multiple sclerosis (MS). MS is a condition that causes episodes of weakness, numbness, vision changes, and fatigue. If you have MS, you are also highly likely to experience neck and/or head pain. MS is commonly associated with migraines. If you have MS, you may need to take medication to prevent migraines, and the MS episodes require treatment as well. Brain aneurysm. An aneurysm is an outpouching of a blood vessel. Brain aneurysms may cause symptoms such as double-vision or head pain. A ruptured brain aneurysm typically causes a sudden and severe headache, and it can be fatal. If your doctor is concerned about a brain aneurysm, you are likely to have a brain MRI or an angiogram. Meningitis. Meningitis is inflammation or an infection of the meninges (the protective lining around the brain). It causes headaches, fevers, and neck stiffness. A lumbar puncture can usually identify signs of inflammation or infection so that you can be treated for meningitis. Encephalitis. Encephalitis is inflammation or an infection of the brain itself. This is a rare condition that can cause permanent brain damage. The symptoms typically include confusion and seizures, but encephalitis may cause a severe headache as well. Meniere’s Disease. A condition that causes dizziness, hearing loss, ringing in the ears, and headaches, Meniere’s disease is very similar to a vestibular migraine. Meniere’s is often hereditary, but not always. Post-concussive syndrome. After a concussion, you can experience persistent fatigue, headaches, neck pain, dizziness, and depression. 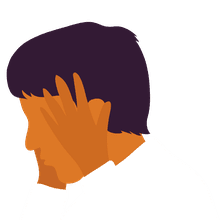 The biggest difference between migraines and post-concussive syndrome is that migraines usually come and go, whereas the symptoms of post-concussive syndrome tend to be constant or almost constant. A concussion can be the first trigger of migraine headaches, too. Cervical spine disease. If you have pressure on the nerves near your cervical spine (upper spine), or disease in your cervical spinal cord, you may experience severe head and neck pain, arm weakness, arm numbness, or dizziness. A physical examination and imaging tests can usually distinguish cervical spine disease from a migraine. The diagnosis of migraines is not always easy—there are many conditions that could present similar symptoms, and the symptoms of migraines vary from person to person. If you feel you are experiencing a migraine, take note of the symptoms you're having so you can inform your doctor. Be sure to work with your doctor to determine whether your migraines aren't a more serious medical condition. If you are diagnosed with another condition, early treatment is best.